The 2017 Montreal Greek Film Festival Is Back and Better Than Ever! An imam in charge of services at a village mosque in Xanthi, northeastern Greece was released without conditions on Wednesday, after testifying before a Xanthi public prosecutor. The imam had been arrested on Tuesday after police, acting on a tip-off, raided the village mosque and his home, finding two guns hidden in the minaret of the mosque and a hunting rifle in the in his home. According to sources, the imam in his testimony claimed that he knew nothing about the two guns found in the mosque, noting that the mosque is open throughout the day and is accessible to everyone. Regarding the rifle found in his house, he said that he bought it 23 years ago when a license was not necessary. 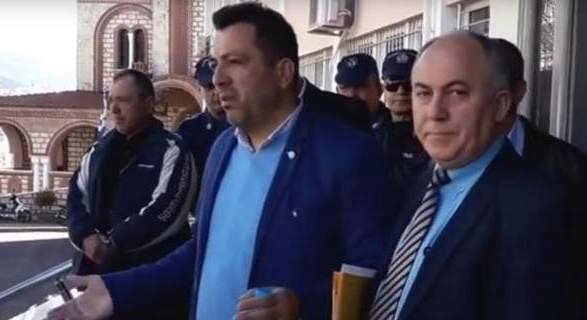 The public prosecutor has decided to refer the case for a preliminary inquiry and, on the basis of its findings, make a decision on whether to prosecute.